Make up removal is absolutely one of the most crucial parts of my skincare routine. Anyone that has slept in make up knows the horrible feeling the next day, and I know that my skin will break out almost instantly if I let this happen. This means that I now always make a conscious effort to remember to take my make up off after late nights when all I want to do is go to bed. Until now, I was yet to discover something that did everything all in one which meant my routine was much longer. Before finding this cleansing oil from The Body Shop, I was fairly happy using Garnier's Simply Essentials 2 in 1 make up remover to take off my eye make up, followed by Garnier's micellar water which I still also really like, and then a final wipe using Simple's cleansing wipes. However, this process always felt like a lot more effort to try and get everything off, and I would go through around 7 cotton pads to do so, after which sometimes the next day there would still be some residue around my eyes. I still do this when I'm being lazy after a night out for example as it still does do the job, however on a day to day basis I have been loving using this cleansing oil which removes absolutely everything. Before this, I had never tried cleansing oils due to my oily skin which I thought would be a nightmare combination, but this is great for all skin types and leaves my skin with a post facial feeling. You only need around two pumps and you simply rub it into dry skin until the make up melts away. I use this on my eyes first and then use whats left on my face, then simply rinse and use a washcloth to wipe everything away. It is amazing at getting waterproof mascara off all at once without irritating your eyes which is something that would happen to me using only micellar water after too much rubbing. It leaves your skin feeling completely refreshed, clean and make up free which is everything I want from a cleanser. What's more, its oily texture is completely removed with water so there is no residue. This will ultimately help prevent spots in the long run and keep skin clear which is perfect for problem skin. Moreover it smells lovely and is only £11 which I think is great for delivering a result which is comparable to much higher end cleansing oils. Have you tried this or any other similar cleansing oils? I discovered this exfoliating cleanser from Superfacialist by Una Brennan on a whim last month on the hunt for something new. Skincare is something I find difficult to get right as I am always changing what products I use and haven't found any items that remain staples in my routine. As far as this cleanser goes, it has become the only one I use every day. I have had difficulties with my skin for a few years now. I never had much problem with acne as a young teen, yet it seemed to kick in during my late teens and I still have it today at age 20. It is something that I have been self-conscious with as, although I feel good about my skin with make-up on, I dislike my natural skin as it is never completely clear. Although I go through phases of it being particularly bad or relatively fine, I have never been the kind of girl who can just throw on no base makeup without feeling self-conscious. Understandably, this can really damage self-confidence as some girls with acne feel like they can't go make-up free without being stared at or judged. I have done a lot of research to try and find as much about it as I can and I'm always trying to improve my skincare. I have been prescribed creams for my acne yet this has only alleviated it for a short amount of time. It isn't something that gets me down too much these days as I understand that a lot of people have it much worse. I have blemishes on the lower part of my face; my chin, cheeks and jawline. Fortunately now, I feel like it is more under control and I only have to deal with scars and a few blemishes which make-up can cover, yet my skin is never fully clear which is something I am always trying to improve. A really important piece of advice for anyone with acne is to try and establish a consistent skincare routine which your skin can get used to. Skin can become irritated if you are constantly switching and bombarding it with different products. I have oily skin which leads to a lot of spots if pores are clogged, which means I need to cleanse twice a day to reduce any build up, although everybody of any skin type should also do this. I have been using this cleanser for a month now and I love everything about it. It is specifically marketed as an anti blemish face scrub with salicylic acid- one of the best ingredients for deeply cleansing pores and helping to clear skin. It is really gentle and has tiny micro beads, cooling menthol and Niacin (Vitamin B3) which helps to tackle acne prone skin. Although people with acne may avoid scrubs as they can be too harsh, this is a really creamy cleanser that is also great at eliminating dead skin cells which is essential for acne to improve. Every time I use this my skin feels instantly smoother and refreshed and I have honestly felt a huge difference in my skin through this alone. It creates a smooth surface which is essential if you want make-up to look flawless so that it doesn't cling and draw attention to any dry patches of dead skin. This has now become a staple in my routine and I am excited to try more products from this range. You can get hold of this in boots for £8.99. 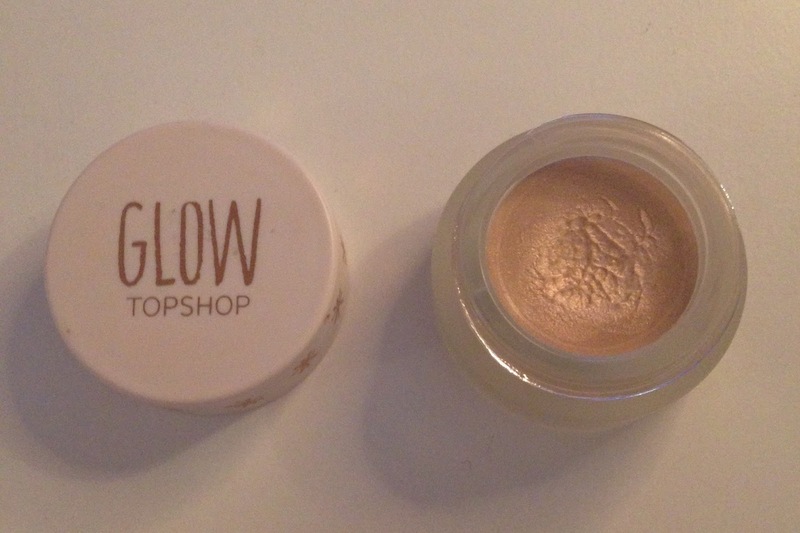 Topshop's Glow highlighter in Polished had been on my wishlist for quite some time, yet it was forever out of stock in my local store. I finally got my hands on it in Oxford Street and ever since, it has made all of my other highlighters practically redundant. Its just so beautiful, seriously if you haven't swatched it, you need to! 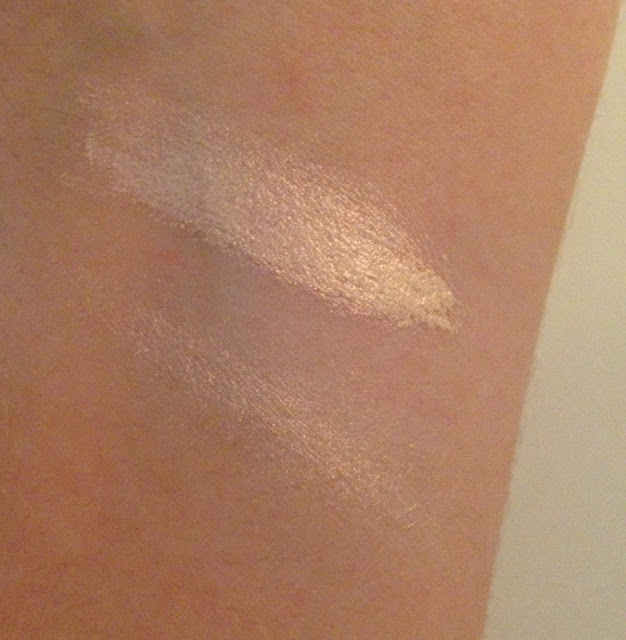 For me, this is the perfect glamorous evening highlighter as it really delivers on shimmer and is not exactly subtle. Its the perfect champagne colour with hints of pink shimmer, yet it is by no means glittery. It just creates the most beautiful and radiant glow, exactly as the name suggests. I love the cream formula, especially this season as it works beautiful with dewy skin and other cream products such as the Bourjois Bronzing Primer I have been loving which is below. You can build this up as much as you want without it looking too Edward Cullen, and it really creates a gorgeous radiance which looks healthy and glowy. To apply this I just use my ring finger and tap the product gently onto the tops of the cheekbones, and down the bridge of the nose. If you don't like super glowy highlighters this might not be for you, although I want to stress that even though it is shimmery it is not by any means heavy. You only need a tiny amount as it is really pigmented, and can apply as little or as much as you want. It's £9 from Topshop and is definitely worth a try if you're a big highlighter fan like me. The photos do not do this product justice, so go check it out in store if you're in need of a new highlighter. Have you tried this highlighter? What are your favourites? Having been without a beach holiday this summer and with the British weather being typically British, my face has been lacking that sun kissed glow. 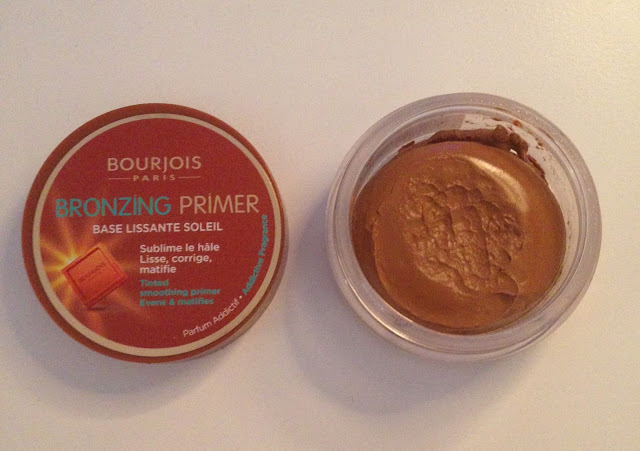 That is, of course, until I discovered this wonder of a product from Bourjois which I absolutely adore as it is essentially, summer in a pot. First things first, the smell is incredible. Its got that chocolate smell which is familiar with Bourjois bronzing products, yet there is also something undeniably summery about it which just reminds me of holidays. 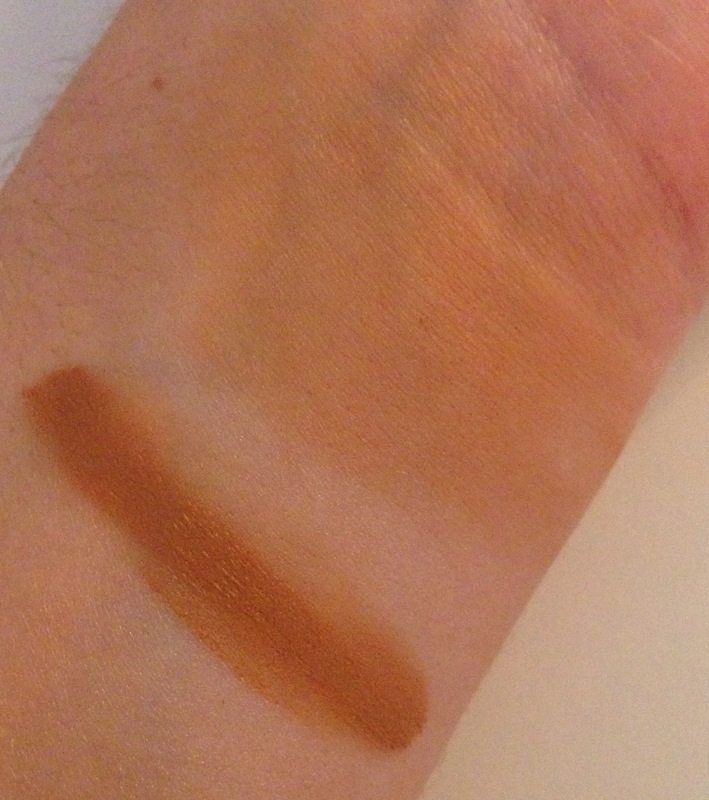 My favourite way to apply this is to layer it underneath my foundation all over. The colour at first might seem quite dark and somewhat orange, yet as you blend it in it gives the appearance of a healthy natural tan. You can skip primer as well as this serves as both bronzer, and also something that will smooth out and matify your skin. After my base is done I also like to go back in with this on my forehead, around my hairline, and cheekbones to really bronze up the contours of my face. Another reason why I was drawn to this was because of its cream formula which I can't get enough of in summer to create a really fresh and glowy look. Its texture is also very gel-like which makes it really easy to work with. I have also began to contour my nose slightly which is much easier with cream products, and I find that this works well for that. I simply use a small brush and draw two lines down the bridge of my nose to crease a slimmer effect, and then blend in until the lines disappear. This can be really transformative if you blend enough, giving you the illusion of a smaller nose. To further illustrate this, I use a highlighter in between these lines to make it even slimmer. This is slightly more orange for contouring as your best with something more ash toned, yet I find it works amazingly for a tanned healthy glow all over the face. I have heard people compare this product to Chanel's extremely sought after Soleil Tan De Chanel bronze universal bronzing makeup base, which retails at £32. I have never tried this myself as I have opted for cheaper alternatives, but I find it hard to believe that it can do something radically more impressive than this much cheaper one from Bourjois, retailing at just £9.99. In my opinion this is a must have in my summer make-up bag as it gives me both a realistic tan, and is great for contouring. Let me know what you guys think of this product/ what else are your summer staples?